Once again, Rooglewood Press has brought a captivating collection of stories to life! 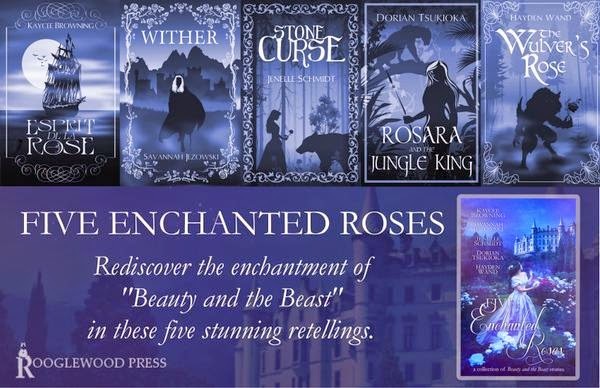 Each of the novellas in Five Enchanted Roses holds a charm all its own in its setting, characters, language, and imaginative spin on the much-cherished fairy tale of Beauty & the Beast. And yet together they make for an exciting series of adventures that will have readers eager to dive into each new story as another comes to a close. Esprit de la Rose by Kaycee Browning: Beauty & the Beast at sea. Need I say more? Poor Cecilia finds herself on board a ship full of ghoulish, ghostly sailors - and one particularly enigmatic one who may or may not be her protector. There's some very interesting twists and plenty of reasons for our heroine to be wary. For an excellently creepy atmosphere and sense of mystery, this story delivers! It also provides a thought-provoking look at justice and depravity. And the epilogue? Sign me up for the continuation of Cecilia's adventures! *Wither by Savannah Jezowski: Whenever a collection involves a good amount of variety, it's hard to pick a favorite. After all, each story is so different! But I believe Wither might just be my favorite, partly because the creativity in the character and world descriptions is just fabulous, and partly because the emotions and choices of the characters feel so real and true-to-life. Like a lot of the stories in this anthology, it's creepy, but it's also unexpectedly tender. After all, first impressions can be drastically far from the truth. Stone Curse by Jenelle Schmidt: This story and the last one are the sweetest of the bunch. I adore the heroes in Stone Curse, and this retelling offers a fresh beginning and a unique take on the origins of the curse that afflicts the "beast." 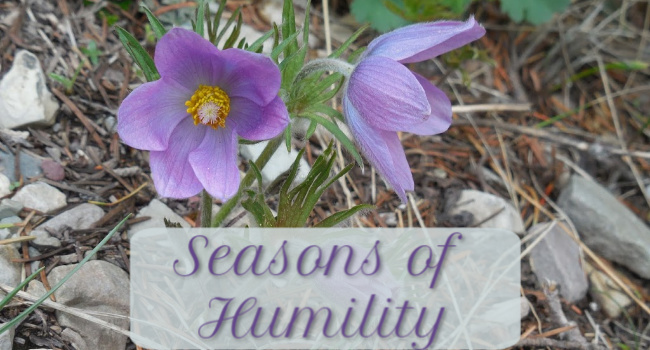 It's a heartwarming tale, all in all, with a word of caution on the effects our choices and emotions have on others. Rosara and the Jungle King by Dorian Tsukioka: This is one story I knew I would enjoy, and probably one of the stories I was most excited about. 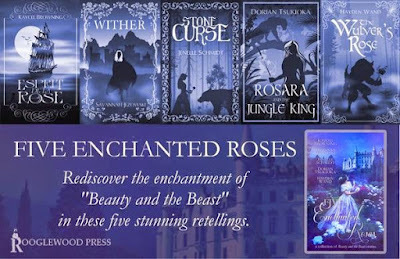 I greatly enjoyed the author's previous retellings: Cursed Beauty (Cinderella) and Ai of the Mountain (also Beauty and the Beast). This one didn't disappoint! The setting was quite unique: lush and exotic. 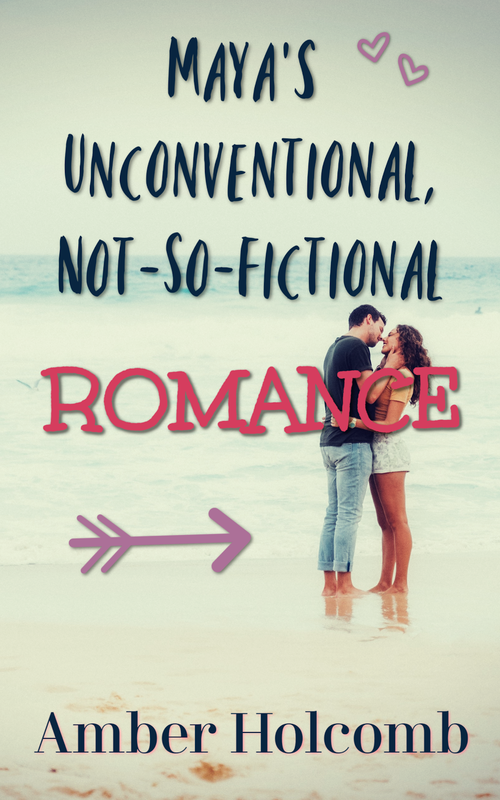 I loved the romance, the twists and turns of the plot, and the surprising revelations. The Wulver's Rose by Hayden Wand: I confess I was surprised by how much I enjoyed this one. Compared to the excitement and intrigue of the other stories, this retelling was quieter. And yes, I wouldn't have minded a little more adventure, but as it is, this is an absolutely enchanting retelling with lovely storytelling, great family depictions, sweet romance, and a very creative take on the enchanted rose. 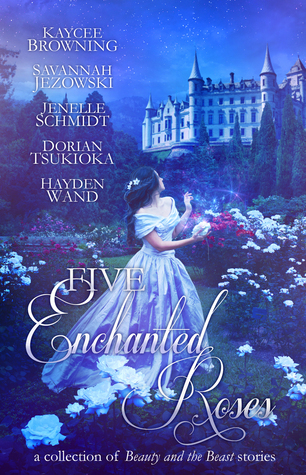 In conclusion, Five Enchanted Roses is a very strong collection of stories for those who don't mind wildly creative retellings that include a touch of creepiness and a healthy dose of danger. I think the title pages (which are incredibly awesome!) give readers a good taste of the overall mood found within the pages. None of the stories offer an overly cutesy, feel-good take on the Beauty & the Beast fairy tale. Instead, this anthology tackles the darker side of beastliness and the gritty side of love and grace. Another collection of winners in every way!